What most of us are left with is industrial food. And who knows what lurks in the average boxed, packaged, or canned factory-made science project.When a French fry has more than 20 ingredients and almost all of them are not potato, or when a fast food hamburger contains very little meat, or when the average teenager consumes 34 teaspoons of sugar a day, we are living in a food nightmare, a sci-fi horror show. It is the hundreds of little choices, the small actions you make every day, that will topple the monolithic food industry. This century is littered with the bodies and institutions of fallen despots and despotic regimes — from the fall of the Berlin wall to the Arab spring. There is no force more powerful than a small group of individuals with a desire to end injustice and abuse. A very simple idea can break through the confusion and plant the seeds of a revolution. Our bodies were designed to run on real food. Our natural default state is health. We need to simplify our way of eating. Unjunk our diet, detoxify our bodies and our minds and we heal. Simply choose foods such as vegetables, fruits, nuts, seeds, healthy oils (olive oil, fish oil, avocado and coconut oil), small amounts of whole grains and beans and lean animal protein including small wild fish, grass fed meat, and farm eggs. There are no diets, no calorie counting, and no measuring fats, carbs or protein grams. None of that matters if you choose real, whole, fresh, live foods. If you choose quality, the rest takes care of itself. When you eat empty industrial food with addictive chemicals and sugar, your body craves more, looking for nutrients in a dead food where none are to be found. Yet after eating nutrient densefresh food for a few days the biological addiction to industrial food is broken, and in a few more days your cells begin to rejuvenate and you heal from the inside out. And the side effects are all good ones: effortless weight loss, reversal of high blood pressure, diabetes, high cholesterol, clearing of brain fog, lifting of depression and fatigue and even better skin, hair and nails. What is more important than what you take out of your diet is what you put in. Add in the good stuff and there won’t be room for the bad. Mother Nature is the best pharmacist and food is the most powerful drug on the planet. It works faster, better and cheaper than any other pharmaceutical. Whole, real food spiced up with a few super foods such as chia, hemp, parsley, cilantro, coconut and green juicing can beneficially affect thousands of genes, regulate dozens of hormones, and enhance the function of tens of thousands of protein networks. Dinner is a date with the doctor. What you put at the end of your fork is more powerful than anything you will ever find at the bottom of a prescription bottle. The roadmap to health is simple: eat real food, practice self-love rather than self-loathing, imagine yourself well, get sufficient sleep, and incorporate movement into your life. The solution to our health crisis and obesity epidemic is not complicated. I hope you will use the power of your fork to be part of the start of a true food revolution. 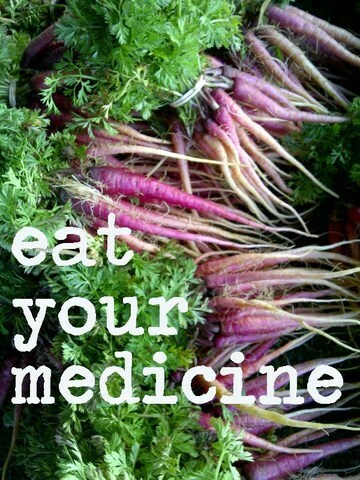 Have you changed your eating habits to include more real food? What have you done to create a healthier diet for your family? Have you eliminated MSG from your diet? This entry was posted in Blog, Education, Inner Peace and tagged Food As Medicine, Food Industry, health, Health Foods, Industrial Food, Natural Foods, Nutrition, Obesity, Processed Food, Whole Foods by hannahrenglich. Bookmark the permalink.